Tech giants Google, Facebook and Apple already control a majority of our digital lives – from curating the content we consume, to managing our online relationships. Now, they are rushing to stake their claim on the mobile payments space, having launched in 2012 an array of high-profile mobile money offerings. Boasting deep pockets, entrenched industry partnerships and millions of loyal customers globally, can small-scale players compete with the giants? Google – the uncontested ruler of the Internet – has until this year only tepidly dipped its toes in the mobile payments waters. Launched in 2011, the NFC-based Google Wallet failed to generate much consumer interest, forcing Google to re-think their mobile payments approach. This year featured a string of payments-related announcements from the tech behemoth, beginning with a streamlined, “one-touch ordering” feature for Google Wallet users purchasing goods via the mobile web. A rumored Google Wallet card further aims to stir interest in the platform, enabling users to access their e-wallet even without an NFC-enabled handset or point-of-sale. Moving beyond its core market in the United States, Google has also made inroads into the international arena this year, piloting the “Beba” card in Nairobi – a pre-paid card that enables commuters to pay their bus fare by tapping the card to an NFC-enabled handset on any of the city’s public busses (see Mondato article). The recently launched Google “Free Zone” available on South African mobile network 8ta further extends Google’s influence among emerging market customers, offering free access to Gmail, Google Search and Google+ (though mobile payments are not yet on the menu). These offerings, tapping into the exponential rise in mobile phone ownership on the African continent, may pave the way for future Google m-payment offerings in Kenya, South Africa, or other emerging markets. In a recent interview, Google’s Larry Page said we should expect more from Google payments, shopping and e-commerce services in the near future. As if affirming this promise, Google Shopping recently announced the expansion of its paid comparison shopping service to ten new countries. According to Page: “We’re getting very good at accepting worldwide payments…(and) at accepting payments from users in many, many different countries, wireless, carrier billing and all sorts of other forms of payment.” With this infrastructure in place already, Google’s mobile payment future looks bright. 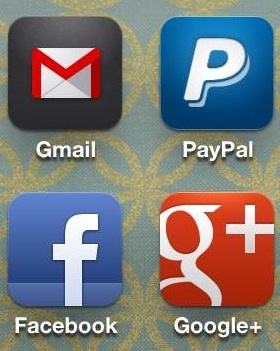 This has been a big year for Facebook as well, both as a company and on the mobile payments front. Directly on the heels of its initial public offering in May, Facebook made dramatic splash on the payments scene with the Facebook Gifts e-commerce platform and the integration of barcodes (or other unique codes) into Facebook Offers (see Mondato article). The previously invite-only Gifts platform has recently opened its virtual doors to all US Facebook users, having expanded offerings to include (among other things) digital subscriptions, gift cards, gourmet fish and, just in time for the holiday season – wine. These new platforms accompany Facebook’s recent integration with mobile payments provider Bango, through which customers in the US, UK, Germany and France can pay for virtual Facebook purchases via a one-click, “frictionless,” carrier-billing platform (see Mondato article). Bango CEO Ray Anderson said in a “The Next Web” article that Bango is currently working on rolling out this technology across additional markets in Europe.Combined with the Gifts platform, these developments (though still in their nascent phases) have the potential to establish the social network as a major contender in the mobile commerce space – possibly leveraging its extensive global user base to edge out existing, smaller-scale players. Apple, though defying industry expectations by unveiling an NFC-less iPhone 5, still signaled its lofty mobile commerce ambitions with the introduction of the Passbook app on iOS 6. As we covered in a previous Mondato newsletter, the Passbook app – while absent of any actual payment capabilities – opens the doors for innovation in cloud-based mobile payment offerings, such as those using QR codes or barcodes. For instance, a recent Passbook integration enables Square users to purchase gift cards for all merchants that accept Square Wallet. Merchants can accept the gift cards either via Square Wallet or Passbook. Further, rumor has it that the iPhone 5S is “likely” to include the NFC technology that we have all been waiting for. While the “big three” of Google, Facebook and Apple have collectively sent ripples throughout the mobile payments sphere this year, they are not the only ones – with other tech giants like eBay/PayPal, Amazon and BlackBerry close on their heels. In this fast-moving sector, no company wants to be the last one to jump on the bandwagon, for fear of being left behind. PayPal Here, launched in March as a direct competitor to Square’s mobile card reader, showed the PayPal’s shift in focus from online payments to physical, brick-and-mortar retail.This transition was re-enforced by a partnership between PayPal and Discover, which enables PayPal users to purchase goods at offline retailers using only their cell-phone number. A flurry of services launched in Australia, the Netherlands and France,and a partnership with mobile gifting service Wrapp in Sweden, also hinted at PayPal’s mobile payments expansion (we highlighted their partnership with McDonald’s in France in a recent Mondato newsletter ). Amazon, already the king of online commerce, is also rumored to be making its entrance into mobile payments, with reports that it is creating its own Square-like competitor. If launched, the platform could be transformative, tapping into Amazon’s existing payments infrastructure and offering lower credit card processing fees for merchants. Not to be left out, mobile handset giantResearch In Motion (BlackBerry) is the latest addition to the m-payments ecosystem, launching BBM Money in Indonesia to allow direct money transfers between BBM users. Are The Giants Taking Over? With tech giants gradually encroaching on mobile payments territory, is there room for other actors? Can start-ups and other small-scale players compete in the face of larger companies armed with arsenals of financial resources and loyal consumers across the globe? With global mobile payment transaction values expected to surpass USD $171.5 billion in 2012, there is certainly a lot at stake. The mobile payments industry is still very much in flux – with each week ushering in a new announcement or product launch. This leaves much room for innovation, and a reigning leader in mobile payments is far from being crowned. Thought they have a clear advantage on paper, tech giants may fail to create offerings that appeal to global consumers, leaving room for smaller players to emerge. But one thing is clear – 2013 will be an exciting year for mobile money.